Create amazing websites, design bespoke web graphics and banners all with simple drag and drop tools in this amazing website design software. Take advantage of the most up to date technology and design web pages exactly how you want them, without any coding experience. WebPlus allows you to add creative content to your website and help you stand out and shine. 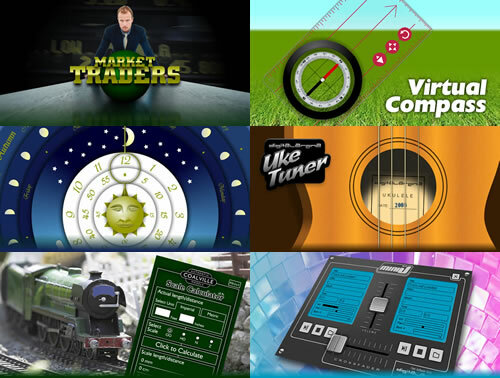 Add pre-designed objects ranging from buttons, navigation bars, graphics and background images, and design with dedicated drawing tools, stylish effects and a huge range of fantastic colour schemes. WebPlus makes it easy to optimise, export and get your website online in a couple of clicks. Upload your site to the host of your choice, or use Serif’s own easy web hosting – it’s so easy to do. For the more advanced user Google Web Designer gives access to tools for creating engaging, interactive HTML5-based designs and motion graphics that can run on any device. If you’re feeling more hands-on, all the code behind your designs is hand-editable, so you’re never locked out of your own work. Your ideas are now amplified by code – not restricted by it. A modern, open source text editor that understands web design. Brackets is a lightweight, yet powerful, modern text editor. We blend visual tools into the editor so you get the right amount of help when you want it.